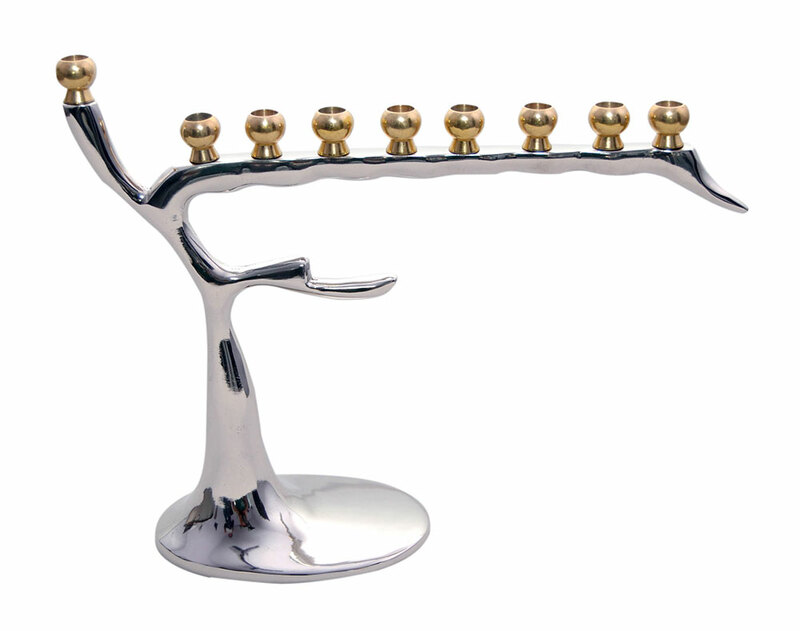 A stunning very new artistic Tree of Life Menorah with a high polish finish and striking Brass cups. This original Menorah will work well in any setting, from private to professional and will sure be a great addition to any fine Judaic collection. Measures 12" L x 9" H x 3.5" D.
WOW! BLACK FRIDAY DEAL 33% OFF!